We know what it takes to succeed for our clients when defending cases in Tampa Courtrooms. We have been recognized as knowing how to build a case from the beginning as if we are going to trial. Why That Matters: Ironically that results in more case that is resolved favorably for our clients. When you do it right from the beginning, the State Attorney takes note and we can get the best deals. Kind of like throwing the ball in football frees up the running game, using the courtroom proactively frees up the negotiating game. Our criminal attorneys all used to work at the State Attorney’s office: Experience from the inside. Why This Matters: We know how the other side thinks, acts, and operates. Our attorneys’ used to manage and work with the prosecutors who are trying to convict you. It is a competitive advantage. You communicate directly, one on one, with the Criminal Attorney who is handling your case. You will have the direct line of your lawyer. Why This Matters: Communication helps your lawyer make the best tactical decisions and helps you understand the best decisions to make. We hire Former State Attorneys from Hillsborough County. We know how the prosecutor’s office works. And our Criminal Defense Lawyers use that knowledge to lever the best results for our clients. Our criminal defense team has significant courtroom experience. 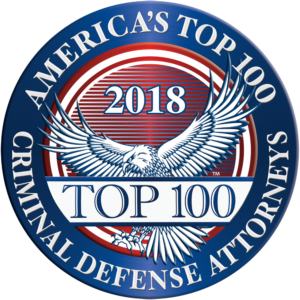 Three lawyers awarded the National Trial Lawyers Association’s “Top 100” criminal defense attorneys in Florida. Two Lawyers that have been awarded a “Top 40 Under 40” Distinction. Almost 200 cases tried in front of a Jury by our team. Four Lawyers who have previously worked for the State Attorneys Office.